Hello to the sweetest readers ever! Thanks so much for all the wonderful feedback on the doll clothes I made for my niece that I shared on Tuesday! I had THE best time making them. It’s hard to see how large it is in that photo, but this thing is a good size and a bargain at $10. I knew it could be perfect for so many uses, but was a bit plain in its current state. A little spray paint to the rescue! Seeing it beside my sectional shows how large it really is. I’m using it to store blankets, but it would also be perfect to sit on the fireplace to hold firewood, or to sit near the door to collect shoes. Updating this was quick and easy! 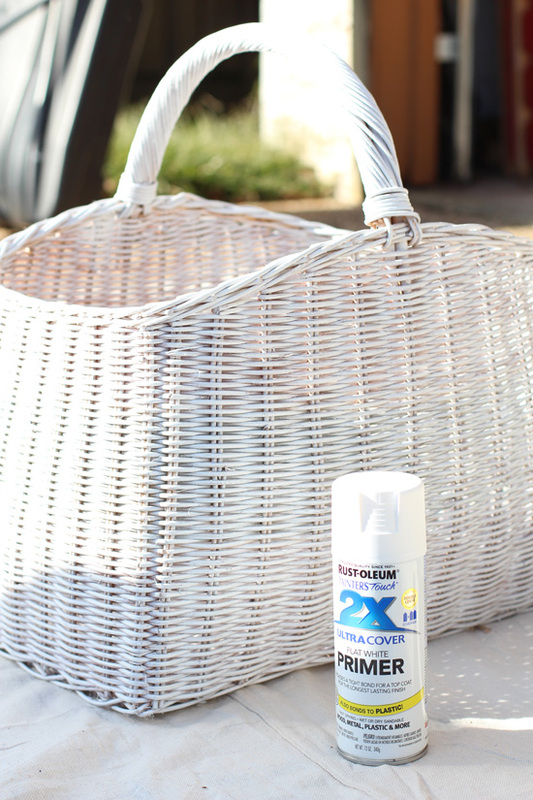 For baskets I like a matte sheen, so I only use primer. If you like a sheen, follow up with white spray paint in a satin finish, but always prime first so the paint doesn’t flake off. 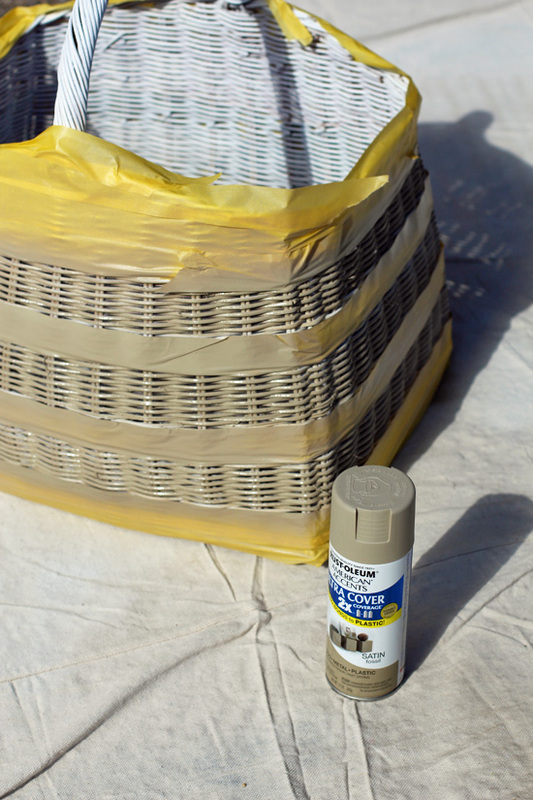 I used one can of primer for this basket. 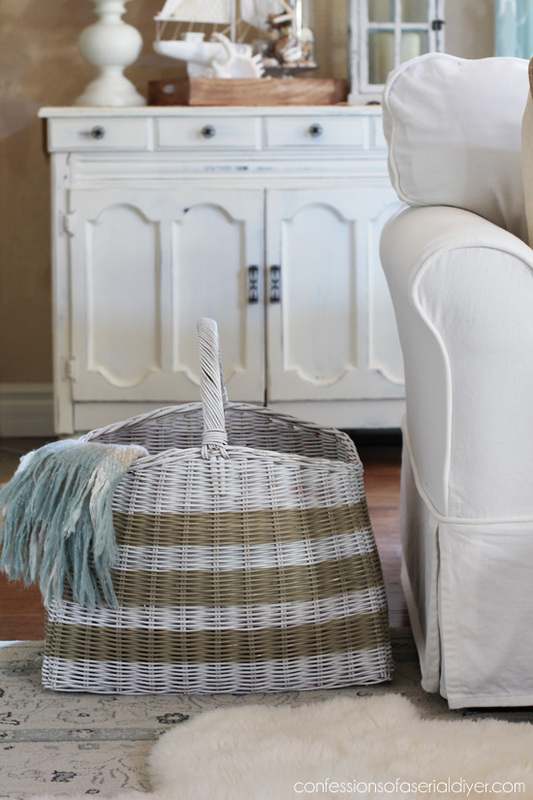 I thought this color combo would give the basket a coastal feel. I pulled the tape off immediately. I love how the paint updated this basket. 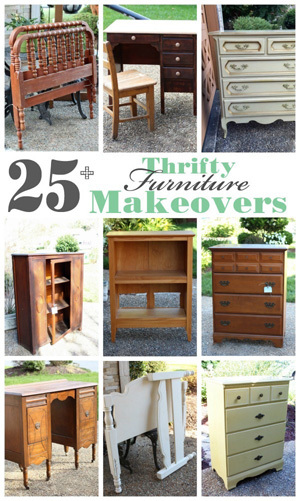 Check out what I did with this sad thrift store find HERE. I’ll see ya’ll on Tuesday with this $3 magazine rack that turned out so pretty! 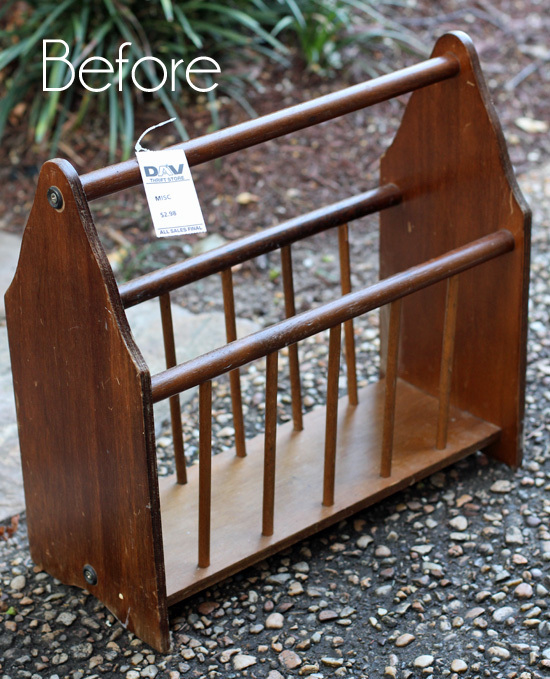 UPDATE: Check out how this magazine rack looks like now HERE! Beautiful. I collect baskets, but they usually end up with cats sleeping in them. Thanks, Cindy! That’s funny. Mine just turned 20 and I don’t think she can get up over the sides of this one, but I bet she would love it if she could! I love the update, looks much better! That turned out great. 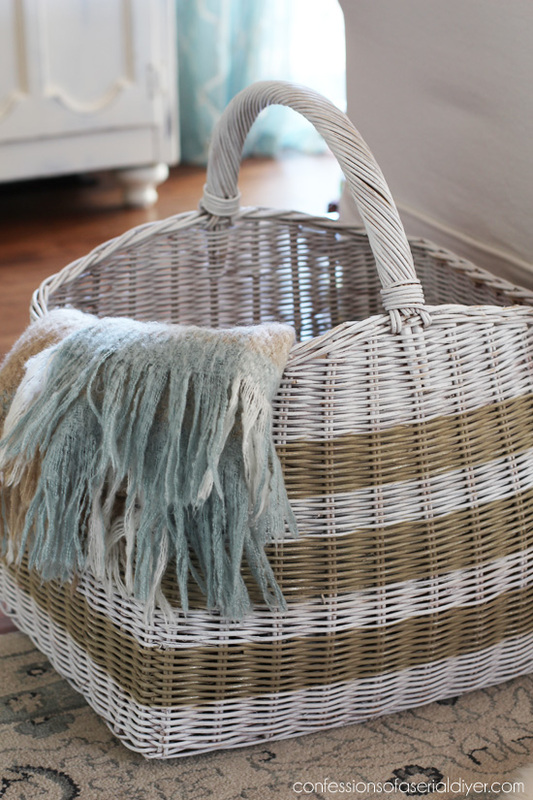 Till you showed the basket next to your couch it was hard to understand how large it is! Holding blankets is a great idea. You have given me ideas!! Thanks. What a great update! 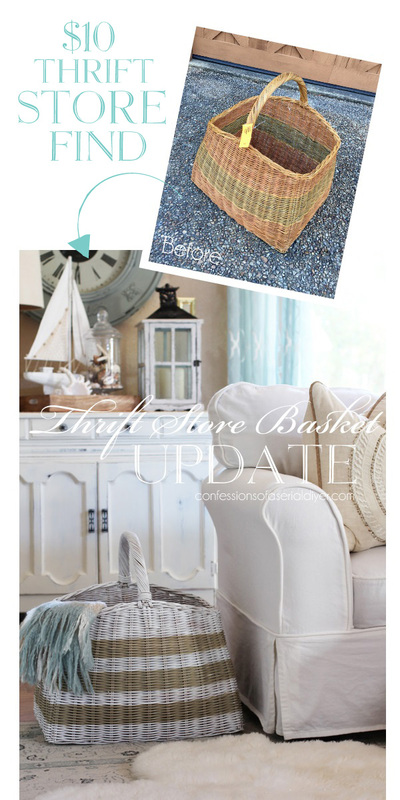 I have a large basket that collects shoes and I’m thinking it now need a little coastal infused makeover. Thanks for the inspiration! 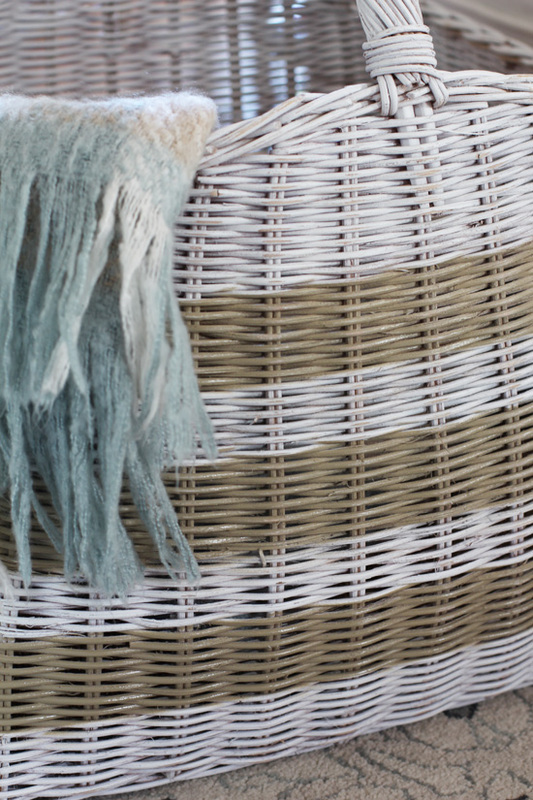 Christy, this basket turned out beautiful and so useful too. 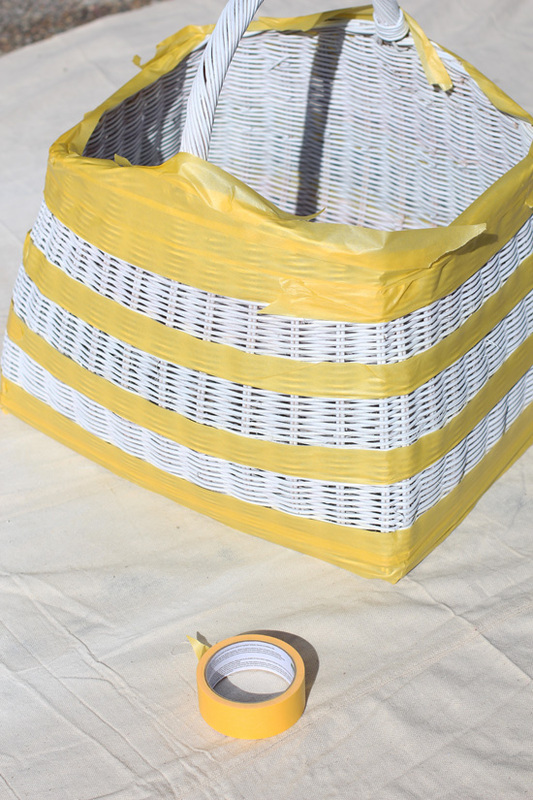 I have tried to paint baskets in the past and was never successful. You surely have mastered your process so I think I will try again. 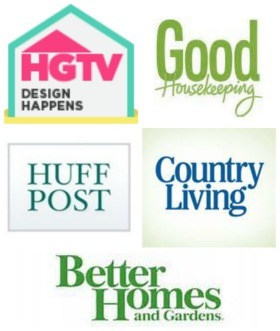 I love your varied posts with so many great ideas. That is great Christy. Your not going to believe this but I have the exact same Throw!! lol We do think a like. 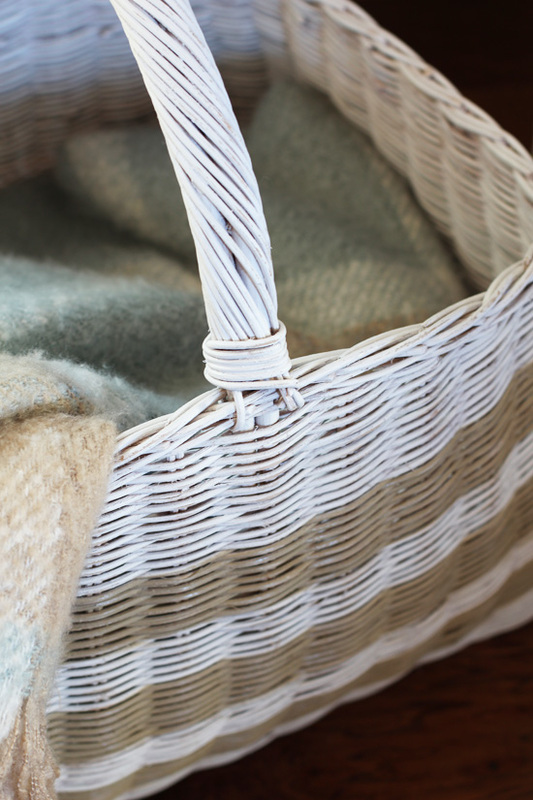 Great basket, they are very functional now you’ve made it extra pretty to display. You have a 20 year old cat?! WOW, both mine were 16 but are sadly gone now. That was a great price on a basket that large, couldn’t even find that at TJMaxx. Looks good in your house, you keeping it?? LOVE THE BASKET, TURN OUT AMAZING. 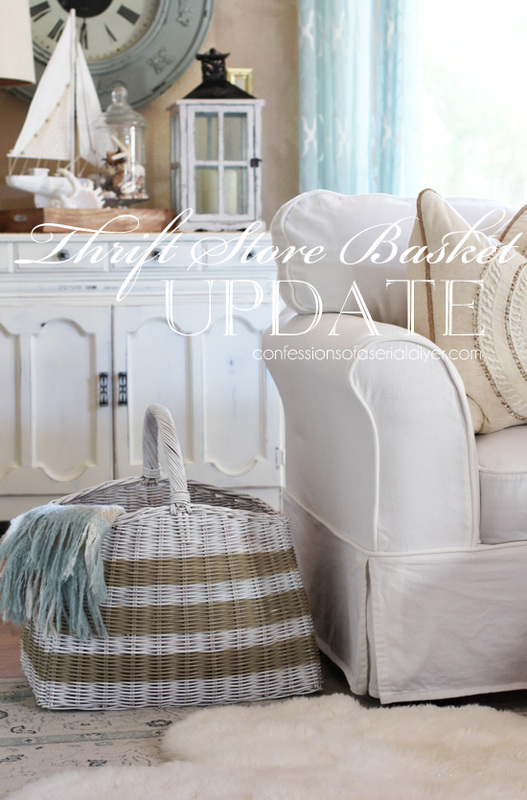 CAN I ASK YOU WHERE YOU PURCHASED YOUR WHITE SOFA THAT THE BASKET IS SITTING BY? 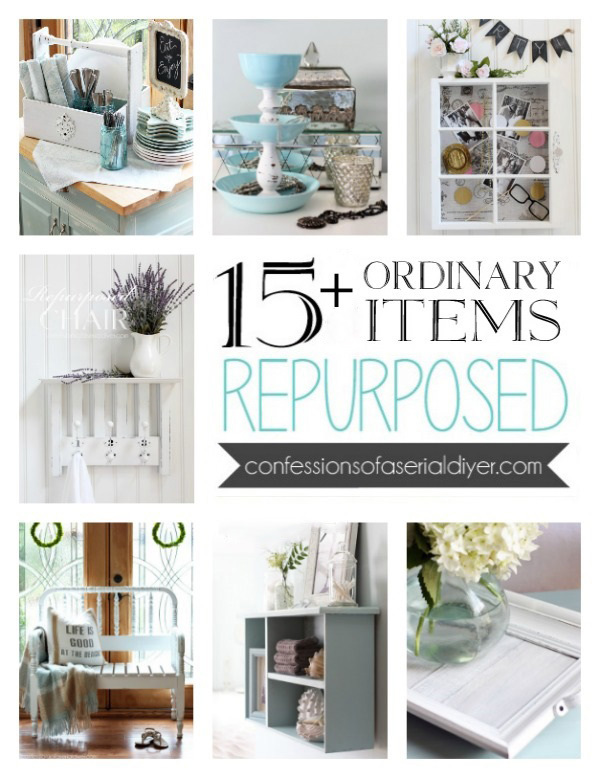 I LOVE IT AND WOULD LIKE TO GET ONE AS I AM IN NEED OF A NEW SOFA! 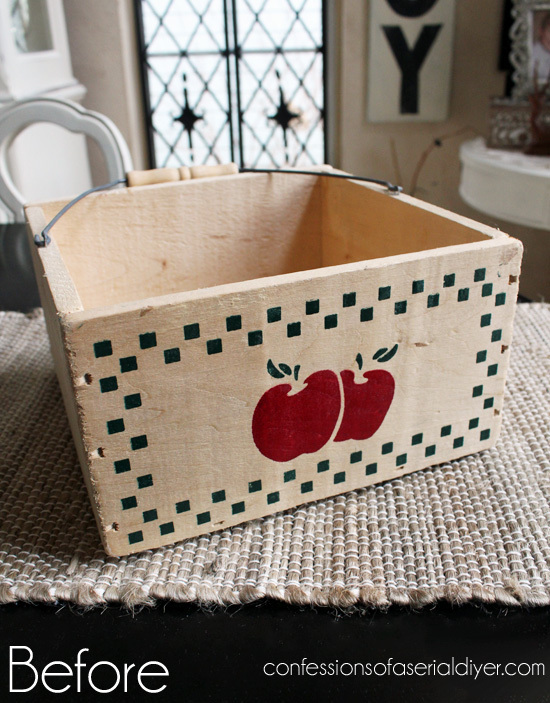 What a wonderful idea that I may have to copy for my non-Longaberger baskets. Beautiful. No matter how long I look at a item I know I will never have the vision you do! Thank you for sharing! Love the stripes! You have good ideas! You are a jolt of “caffeine”…wish you lived next door,,,I would come, snoop and then go home, energized! 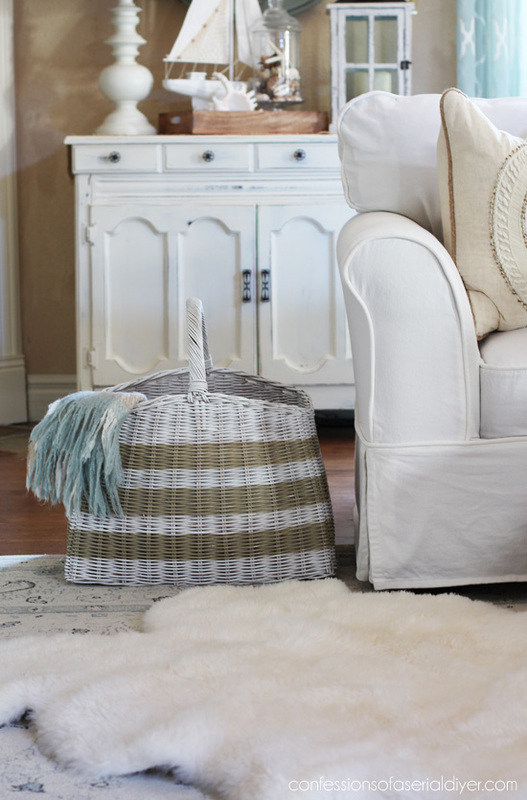 A tisket a tasket I love your white and tan striped basket!!!! some similar clothes.Thanks for posting your ideas. I love it Christy especially the stripes. I have lots of baskets, almost an addiction! I know you always use all the safety precautions creating your project’s. I just wanted to remind everyone to use mask’s & respirators (more than you think is necessary). I recently had a lung scare & want all you awesome people to stay safe. As always, another great end result & useful project! ! Best wishes to everyone! ! The colors you used worked perfectly in your living room, Christy. Never ceases to amaze me how a can of paint can completely transform and update almost anything. Beautiful photography too btw. Yes, I love how this turned out. 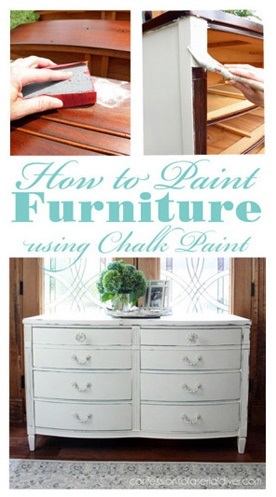 Spray paint is fast and easy! 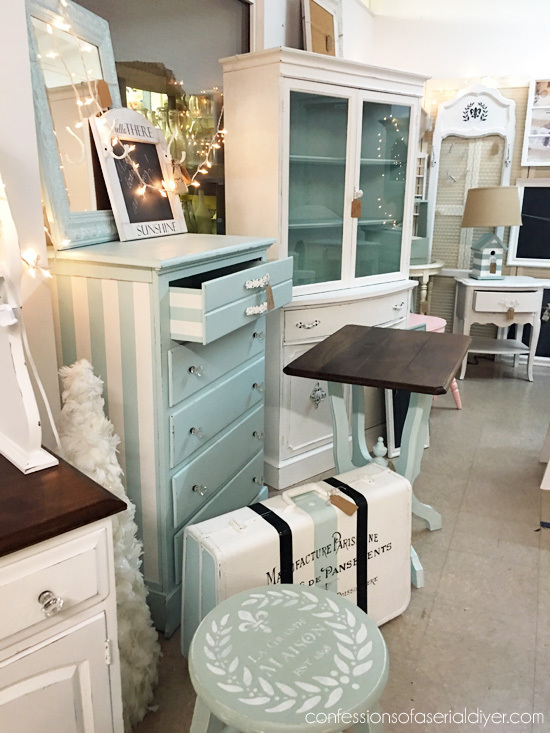 I love what you did, The color scheme and the stripes are perfect. This reminds me that I have a huge basket in the living room that is bright red (actually came with the house) that the cats love to sleep in — I need to paint to fit better with my decor. I love that your sweet cat is 20! My childhood cat lived to be 18 and I thought that was old. If only dogs would live to be 20! 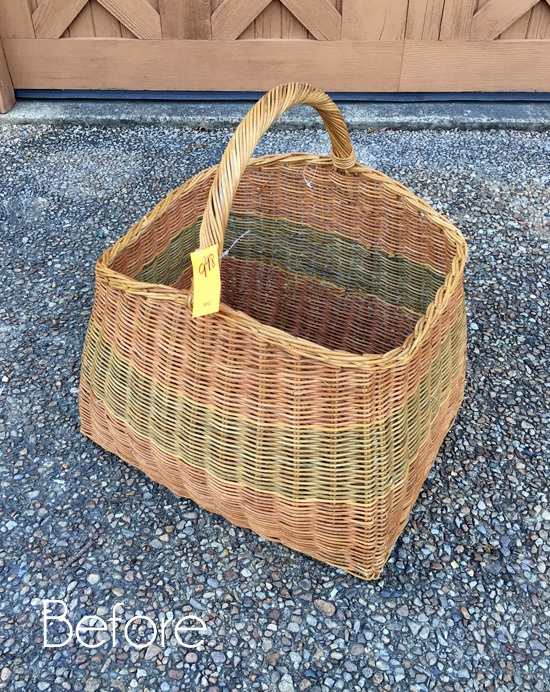 This basket looks totally different post makeover and I can’t imagine that someone won’t soon buy it. Your basket is soooo pretty (as I type with my 16 year-old cat on my lap). I have a question – was it hard to spray paint the inside? Some spray cans don’t work unless they’re held in just the right position. What brand do you find you prefer?